I first met Alicia at a women’s mastermind group in early 2016. I was very intrigued by her business and it’s concept. 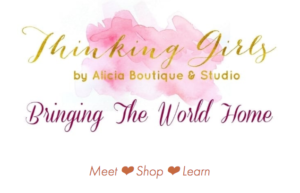 Thinking Girls Boutique & Shop is a place where women can come for meetings, to shop and to learn. How cool is that? !